2 & 9. Michigan's Grand Army of the Republic Memorial Hall and Museum (224 S. Main Street, Eaton Rapids, Michigan). 10:00 AM - 5:00 PM. The Museum is opened the first two Wednesdays each month, most patriotic days, special events, and by appointment. Admission to the Museum is free; donations are appreciated. Website: http://garmuseum.weebly.com/. Contact: Gary Gibson, Board Secretary, at GARmichigan@gmail.com. 6 & 13. Michigan's Grand Army of the Republic Memorial Hall and Museum (224 S. Main Street, Eaton Rapids, Michigan). 10:00 AM - 5:00 PM. The Museum is opened the first two Wednesdays each month, most patriotic days, special events, and by appointment. Admission to the Museum is free; donations are appreciated. Website: http://garmuseum.weebly.com/. Contact: Gary Gibson, Board Secretary, at GARmichigan@gmail.com. 12. Annual Abraham Lincoln Birthday Commemoration (Lincoln Memorial, Washington, DC). Sponsored by the Military Order of the Loyal Legion of the United States and the Sons of Union Veterans of the Civil War. Wreath laying. Website: http://suvcw.org/mollus.htm. 23. 22nd Annual Mid-Winter Civil War Grand Ball (Central United Methodist Church, 215 N. Capital, Lansing, Michigan). 6:00 PM (Grand March begins at 6:30 PM). Music provided by the Golden Griffon. Sponsored by the 8th Arkansas/22nd Michigan Volunteer Infantry. Tickets cost $15.00 per person. Advance tickets will be available starting November 15, 2017. Tickets also will be available at door. Contact: Pam Gosner at pagnsr@gmail.com or by Telephone at 810-656-7791. 26. Civil War Seminar: Topic to be announced (Sunfield United Brethren Church, 8436 West Grand Ledge Hwy (M-43) in Sunfield, Michigan). 7:00 PM. Admission is free and refreshments will be served. Each year, the Lansing/Sunfield Curtenius Guard Camp #17, Sons of Union Veterans of the Civil War sponsor a series of free Civil War History Seminars. Website: http://suvcw.org/mi/017/announcements.htm Contact: Mark Hoffman at hoffman816@yahoo.com. 9. Annual Meeting: Cumberland Guard Annual Meeting. (Lutheran Hospital, 7950 West Jefferson Boulevard, Fort Wayne, Indiana, Function Rooms 3 & 4). 10:30 AM. Review of 2018 Events and planning for 2018. Contact Rob Van at robert.r.van@gmail.com. 16 - 17. Black Powder Gun Show: 43rd Annual Kalamazoo Living History Black powder Gun Show (Kalamazoo Fair Grounds, 2900 Lake Street [off I-94, Exit 80 North], Kalamazoo, Michigan). 9:00 AM to 5:00 PM - Saturday, 9:00 AM to 4:00 PM - Sunday. The largest, nationally recognized, juried show in the Midwest devoted to pre-1890 original or reproduction living history supplies, accouterments and related crafts. The Kalamazoo Living History Show was created in 1976 to bring history alive and entertain as well as expose the general public to some of the most fascinating times in our history. Each year the focus of the show changes allowing various historical reenactment groups, organizations and individuals, dressed in period clothing, the opportunity to host the show and share their knowledge and enthusiasm of history with all of us. Admission is $7.00 for a single day, $10.00 for a weekend pass. Children 12 years of age and under admitted free when accompanied by a parent. No strollers allowed. Anyone attending the show in pre-1890 style clothing will be eligible for a drawing on a door prize. The show is sponsored by Yankee Doodle Muzzle Loader, Inc. Website: http://www.kalamazooshow.com/index.html. Contact: Email at kalamazoolivinghistoryshow@gmail.com. 19. Civil War Seminar: To be announced (Michigan's GAR Memorial Hall and Museum, 224 S. Main Street, Eaton Rapids, Michigan). 7:00 PM. The speaker will be Bob Myers. Seminar is free. Website: http://garmuseum.weebly.com/. Contact: Gary Gibson, Board Secretary, at GARmichigan@gmail.com. 22 - 24. 12th Annual Infantry School of Instruction. (Historic Fort Wayne, 6325 West Jefferson, Detroit, Michigan). Lessons will concentrate on the duties and positions of enlisted, musicians, NCOs and Company and Field-grade officers within formations most commonly employed at re-enactments. Other topics covered will include Dress Parade, Manual of Arms, firing positions/commands, military etiquette, Skirmish Drill, Color Guard, Roll Call, drum & bugle signals, etc. Instruction will be taken from Casey’s Infantry Tactics, U.S. Regulations (1861), and Dom Dal Bello’s Parade, Inspection and basic Evolutions of the Infantry Battalion (4th edition). Instruction is composed of classroom review and drilling outside (weather permitting) so dress accordingly. Military uniforms are to be worn. Modern footwear is optional. Riflemen need to bring rifles, bayonets, accoutrements, and ammunition, musicians their instruments, and officers their kits to include sashes & swords. US and CS comrades from fellow mid-western units are welcome to attend. Friday check-in begins after 6:00 PM. Saturday school commences at 9:00 AM sharp and will conclude by 5:00 PM. Sunday sessions will conclude by 3:00 PM. Friday evening and Sunday morning classroom topics will be governed by the number of participants registered and present. Coffee and pastries will be provided free of charge on Saturday morning. Please bring your own eating utensils and cups. You are responsible for your own rations (modern or period) for all other meals. Amenities include modern restrooms, water, and firewood. Sleeping accommodations and classrooms are located within the heated 1848 limestone barracks. If spending the night you will need to bring your own bedding, cots, chairs, etc. Period bunk beds are available but limited and on a first come, first serve basis. All attendees need to RSVP (to include rank they are serving as) so we have adequate handouts, food, and beverages for all. There is no fee to attend. For additional information and to register please contact Tom Emerick at tomjoanemerick@hotmail.com or by telephone at 517-604-6116. 30. Civil War Trust - National Park Day (Historical Fort Wayne, 6325 Jefferson, Detroit, Michigan). Since 1996, the Civil War Trust has sponsored Park Day, an annual hands-on preservation event to help Civil War battlefields and historic sites take on maintenance projects large and small. For the last several years, Historic Fort Wayne has been the only site in Michigan to host this event. Activities are chosen by each participating site to meet their own particular needs and can range from raking leaves and hauling trash to painting signs and trail building. The nationwide effort is underwritten with a grant from History!, formerly The History Channel, and is recognized by the U.S. Department of the Interior as a Take Pride in America event. Websites: Historic Fort Wayne - http://historicfortwaynecoalition.com/. Contact: Tom Berlucchi at TBERLUCCHI@YAHOO.COM, Telephone: 248-840-5234. 3 & 10. Michigan's Grand Army of the Republic Memorial Hall and Museum (224 S. Main Street, Eaton Rapids, Michigan). 10:00 AM - 5:00 PM. The Museum is opened the first two Wednesdays each month, most patriotic days, special events, and by appointment. Admission to the Museum is free; donations are appreciated. Website: http://garmuseum.weebly.com/. Contact: Gary Gibson, Board Secretary, at GARmichigan@gmail.com. 6 - 7. 153rd Anniversary Commemoration of the Grand Army of the Republic. (Michigan's Grand Army of the Republic Memorial Hall and Museum, 224 S. Main Street, Eaton Rapids, Michigan). Saturday, 10:00 AM - 8:00 PM; Sunday 10:00 AM to 3:00 PM. The G.A.R. birthday party will last Saturday and Sunday. In addition to the normal exhibits, additional special G.A.R. exhibits will be on display. Refreshments will be available both days. Admission to the Museum is free; donations are appreciated. Website: http://garmuseum.weebly.com/. Individual interested in exhibiting their GAR, Allied Orders of the G.A.R., and even United Confederate Veterans artifacts should contact Gary Gibson at GARmichigan@gmail.com. 13. 62nd Annual Lincoln Tomb Ceremony (Oakridge Cemetery, Springfield, Illinois). Sponsored by the Sons of Union Veterans of the Civil War and the Military Order of the Loyal Legion of the United States. Parade to and Wreath laying at the Tomb of Abraham Lincoln. Contact rpetro7776@aol.com or by Telephone at 636-274-4567. 24. Civil War Seminar: To be Announced (Sunfield United Brethren Church, 8436 West Grand Ledge Hwy (M-43) in Sunfield, Michigan). 7:00 PM. The speaker will be Paul Scheidler. Admission is free and refreshments will be served. Each year, the Lansing/Sunfield Curtenius Guard Camp #17, Sons of Union Veterans of the Civil War sponsor a series of free Civil War History Seminars. Website: http://suvcw.org/mi/017/announcements.htm Contact: Mark Hoffman at hoffman816@yahoo.com. 1 - June 30. Memorial Day Exhibit: Lest We Forget (Michigan's Grand Army of the Republic Memorial Hall and Museum, 224 S. Main Street, Eaton Rapids, Michigan). Included in the exhibit is the story of Memorial Day (historically known as Decoration Day), background on the man and the organization he headed that was responsible for establishing the holiday we know today, and how it was accomplished. The real Memorial Day is actually May 30, but was changed in the 1970s to provide federal employees the convenience of a three-day weekend. Since then, it has become the unofficial start of the summer season, thus losing its true meaning. The Memorial Day exhibit is typical of such displays of the late 1890s - early 1900s that the G.A.R. would have set up in their various posts. The Museum is opened the first two Wednesdays each month, most patriotic days, special events, and by appointment. Admission to the Museum is free; donations are appreciated. Website: http://garmuseum.weebly.com/. Contact: Gary Gibson, Board Secretary, at GARmichigan@gmail.com. 1 & 8. Michigan's Grand Army of the Republic Memorial Hall and Museum (224 S. Main Street, Eaton Rapids, Michigan). 10:00 AM - 5:00 PM. The Museum is opened the first two Wednesdays each month, most patriotic days, special events, and by appointment. Admission to the Museum is free; donations are appreciated. Website: http://garmuseum.weebly.com/. Contact: Gary Gibson, Board Secretary, at GARmichigan@gmail.com. 4 - 5. Civil War Show: Annual Ohio Civil War Show and Annual Artillery Show (Richland County Fairgrounds - U.S. 30 & Trimble Road Exit located 7 miles West of Exit 176 on I-71), Mansfield, Ohio). Saturday 9:00 AM - 5:00 PM, Sunday 9:00 AM - 3:00 PM. Seven Hundred Fifty tables of military items, book, prints, etc. $6.00 Admission, children under 12 - free. Free Parking. Website: http://www.ohiocivilwarshow.com. Telephone: 419-884-2194. 18 - 19. Civil War Muster: Williamstown Township Park, Grand River Ave, Williamstown, Michigan). Hosted by the 12th South Carolina /4th Michigan Infantry. Contact: David Barton at barton6@msu.edu. 21. Civil War Seminar: To be Announced. (Michigan's G.A.R. Memorial Hall and Museum, 224 S. Main Street, Eaton Rapids, Michigan). 7:00 PM. Seminar is free. Website: http://garmuseum.com/. Contact: Gary Gibson, Board Secretary, at GARmichigan@gmail.com. 24 - 27. River through Time (Heritage Park, Coldwater, Michigan). Saturday, Sunday, Monday. Children and adults will get hands on experience with these historical timelines: Voyageurs/Fur Trade Era, French & Indian War, Revolutionary War, War of 1812, Mexican Texas War,Civil War, Indian Wars, Spanish American War, WW1, WW2, Korean War, and Vietnam. Friday from 9am - 3pm is education day for over 1000 children. This is open to all schools, public, private, home and their families. Come enjoy the food and festivities at this family fun and educational event. Saturday: Come and watch the battles and skirmishes, Witness the thunder of the many cannons being fired,enjoy live music, interact with Native Americans, Trappers, Traders, pioneers, service men and women. Make a candle or make some rope. Pet farm animals and look at the cannons and vehicles from the various wars. Learn how to start a fire the old fashioned way, learn how to make soap, turn fleece into yarn and so much more! Saturday night an all timeline inclusive Ball will take place from 7-10 pm. Join us for the parade Monday morning uptown. The parade starts at 8:30am at the corner of East Chicago and Hudson Streets and goes through downtown on Chicago Street. Website: http://riverthroughtime.com/index.htm. Contact: Email at riverthroughtime@gmail.com, Telephone: 517-258-1360. 25. Memorial Day Program: Annual Mount Hope Cemetery Memorial Day Program (Soldiers Lot, Mount Hope Cemetery, corner of Mt. Hope and Aurelius Roads, Lansing, Michigan) 10:30 AM. Annual Sons of Union Veterans of the Civil War (SUVCW) ceremony at the Grand Army of the Republic (G.A.R.) Soldiers' Lot. In 2007, the G.A.R. lot was completely restored with the monument and flag pole cleaned and repainted, respectively, and all the gravestones cleaned and straightened. The SUVCW Lansing/Sunfield Curtenius Guard Camp #17 has been conducting this annual ceremony since 1984. Contact Paul David Arnold at hockeyboy121@sbcglobal.net. 25 - 27. Greenfield Village Civil War Remembrance (20900 Oakwood Blvd., Dearborn, Michigan). Hosted by Greenfield Village. Hundreds of Union and Confederate reenactors, civilians, musicians and historic presenters (all in period clothing) converge, eager to share their knowledge with you. There are dozens of opportunities to learn more about this pivotal time in American history: exhibits, presentations, battle tactics demonstration, hands-on activities, and insights from historians. Join us in honoring the sacrifices and achievements of all those who bravely fought and continue to fight in defense of our great nation. The Henry Ford will participate in a national moment of silence at 3 pm Monday as signaled by the Armington & Sims shop whistle. Amenities include firewood, straw, modern camping, military ball, sutlers. This event is by invitation only for reenactors. Website: www.thehenryford.org/events/civilwarremembrance.aspx. 26. Memorial Day Program: (Brethren Church, 8436 W. Grand Ledge Hwy, Sunfield, Michigan). 9:30 AM. Each year the Sunfield Helen Edwins Tent #30 of the Daughters of Union Veterans of the Civil War holds the Memorial Sunday Service. Contact Paul David Arnold at hockeyboy121@sbcglobal.net. 27. Memorial Day Parade: Eaton Rapids Annual Memorial Day Parade (Eaton Rapids, Michigan). 10:00 AM line up, 11:00 AM Parade. Immediately following the parade there will be a Memorial Day program at Eaton Rapids’ downtown Grand Army of the Republic Island Park (entrance to the Park is off Hamlin Street). Contact Keith Harrison at pcinc@prodigy.net. 30. Memorial Day (Michigan's Grand Army of the Republic Memorial Hall and Museum, 224 S. Main Street, Eaton Rapids, Michigan). 10:00 AM - 5:00 PM. Michigan's Grand Army of the Republic Memorial Hall and Museum will be opened on traditional Memorial Day, May 30th. Admission to the Museum is free; donations are appreciated. Website: http://garmuseum.weebly.com/. Contact: Gary Gibson, Board Secretary, at GARmichigan@gmail.com. 1 & 2. Civil War Encampment (Lexington, Michigan). Hosts: 15th Michigan, Company B and the 9th Kentucky. Event is in the Village of Lexington. May 31 is available for those who wish to set up on Friday. Fashion show, street skirmishes, living history, firearm demonstrations, drill, and cannon firing demonstrations. Straw and firewood provided, but no bounties for artillery. Other re-enactment units who wish to participate, would be greatly welcomed. Sponsored by the Village of Lexington Parks and Recreation Committee and the Lexington Business Association. Website: http://lexingtonmichigan.org/. Contact: Mike Ruffini: at merleriobravo-mail@yahoo.com. or telephone: 810-956-3240. 5 & 12. Michigan's Grand Army of the Republic Memorial Hall and Museum (224 S. Main Street, Eaton Rapids, Michigan). 10:00 AM - 5:00 PM. The Museum is opened the first two Wednesdays each month, most patriotic days, special events, and by appointment. Admission to the Museum is free; donations are appreciated. Website: http://garmuseum.weebly.com/. Contact: Gary Gibson, Board Secretary, at GARmichigan@gmail.com. 8 - 9. Civil War Days (Historic Fort Wayne, 6325 West Jefferson, Detroit, Michigan). Tactical demonstrations both days, Battle Reenactment, Vintage Baseball Game, Civilian Camps, Ice cream social, Civilian activities, Special Impressions, firewood, and showers. Artillery Bounty for the first 4 full-scale (57-inch wheels) cannon registered. Website: http://historicfortwaynecoalition.com/cwdays.html. Contacts: Doris Julian at Juliandoris2@aol.com or Tom Berlucchi at Tberlucchi@yahoo.com or by Telephone at 248-840-5234. 15 - 16. Turkeyville Civil War Reenactment (Turkeyville U.S.A, 18935 15 1/2 Mile Road, Marshall, Michigan). Free to the public, but donations appreciated. Battles (with professional pyrotechnics), Grand Ball Saturday night, Night Artillery Firing, ladies tea and fashion show, and pie eating contest. Special Impression Area to include Abraham Lincoln, Jefferson Davis, General Ulysses S. Grant, Post office, Barber, Storyteller, Blacksmith, Quartermaster, and Surgeon. Thursday and Friday set-up, Modern day RV campsite on location with hook-ups (offered at discounted rate for reenactors), wood & hay provided, free reenactor meal Saturday at Turkeyville Restaurant, coffee and donut breakfast free to reenactors. Hosted by the 17th South Carolina Infantry, 2nd Kentucky Morgan's Artillery, 2nd Kentucky Volunteers, and 1st Michigan Infantry. Artillery Bounties ($100/first six guns each side), Cavalry Bounties. Registration can be by via the web or by email. Website: http://www.turkeyville.com. Reenactor Contact: Email patti@turkeyville.com or by Telephone at 269-781-4293. 22 - 23. Living History Encampment and Reenactors Rendezvous (Wellington Farms Park, 6944 S Military Road, Grayling, Michigan) For the past 6 years, the 3rd Battery, 1st Michigan Light Artillery, has hosted a small civil war encampment and, for the past 3 years, living history reenactors rendezvous near Roscommon, Michigan. To serve more participants, and attract more of the general viewing public, we have been in discussions with nearby Wellington Farms Park, who are offering ample campsites, for period correct and separate modern, with access to water, showers, and firewood, and ample field space for demonstrations and skirmishes/battles. There is no charge for participants. The park itself has a wide variety of historical artifacts, from working steam engines to blacksmith and broom making shops. It will be open for set up June 20, take down thru the 24th. Contact Dale Shantz, President, 3rd Battery at shantz.d@yahoo.com or call 989-621-0064. 25. Civil War Seminar: To be Announced (Sunfield United Brethren Church, 8436 West Grand Ledge Hwy (M-43) in Sunfield, Michigan). 7:00 PM. Each year, the Lansing/Sunfield Curtenius Guard Camp #17, Sons of Union Veterans of the Civil War sponsor a series of free Civil War History Seminars. Website: http://suvcw.org/mi/017/announcements.htm Contact: Mark Hoffman at hoffman816@yahoo.com. 3, 4, & 10. (Michigan's Grand Army of the Republic Memorial Hall and Museum, (224 S. Main Street, Eaton Rapids, Michigan). 10:00 AM - 5:00 PM. The Museum is opened the first two Wednesdays each month, most patriotic days, special events, and by appointment. Admission to the Museum is free; donations are appreciated. Website: http://garmuseum.weebly.com/. Contact: Gary Gibson, Board Secretary, at GARmichigan@gmail.com. 4. Living History Encampment and Parade (Grand Army of the Republic Island Park, Eaton Rapids, Michigan). Living History Camp is located on G.A.R. Island Park in Eaton Rapids (entrance off Hamlin Street). From 10:00 AM - 5:00 PM, reenactors will provide the public with a glimpse of what it was like to be a Civil War soldier and Civil War-era civilian. Public demonstrations on Civil War-era military Camp Life, Drills, Musket firing, Equipment explanations, Civilian Life, and Medical Practices of the day will take place. The Camp is open at 7:00 AM to set up. There will be a parade that starts at 11:00 AM and will proceed down Main Street. At dusk, there will be a fireworks show at the Eaton Rapids School Complex. The event is sponsored by Michigan's Grand Army of the Republic Memorial Hall and Museum and the City of Eaton Rapids. Website: http://garmuseum.weebly.com/. Contact: Keith Harrison at GARmichigan@gmail.com. 13 - 14. Annual Underground Railroad Days (Vandalia, Michigan). Saturday: 10:00 AM to 7:00 PM, Sunday: 11:00 AM to 5:00 PM. The Village of Vandalia, Michigan and the Underground Railroad Society of Cass County (URSCC) will co-sponsor the annual Underground Railroad Days in Vandalia. The two-day celebration of the history of the Underground Railroad (UGRR) in southwestern Michigan area will feature guided tours of UGRR sites, information booths and displays, tours of the Bonine House (home of UGRR stationmaster James E. Bonine), Civil War Living History Encampment, a replica of a Ramptown cabin for storytelling and song, as well as presentations on various aspects of the UGRR in Cass County. A complete schedule of activities will be published closer to the celebration. Website: http://www.urscc.org. Contact: Cathy LaPointe at info@urscc.org or by telephone at 269-445-7358. 16. Civil War Seminar: To be Announced (Michigan's G.A..R Memorial Hall and Museum, 224 S. Main Street, Eaton Rapids, Michigan). 7:00 PM. Seminar is free. Website: http://garmuseum.weebly.com/. Contact: Gary Gibson, Board Secretary, at GARmichigan@gmail.com. 20 - 21. Charlton Park Civil War Muster (2545 S. Charlton Park Road, Hastings, Michigan). Hosted by Battery D, 1st Michigan Light Artillery, 3rd Michigan Volunteer Infantry, 7th Michigan Volunteer Infantry, 24th Michigan Volunteer Infantry, 8th Michigan Medical, and 12th South Carolina. Confederate and Union Infantry, Cavalry, and Artillery units. Shop on Sutler Row, play parlor games, and Battle each day. Admission is $6/adult, $4/child 5-12, 4 and under are free. All Reenactors are requested to Pre-register at no charge. The on-site registration fee is $10.00 per reenactor. Pre registration required/fee for walk-ons. Website and registration form/information at http://www.charltonpark.org/news_events/special_events.html. Contact: info@charltonpark.org. 26 - 28. Fort Wilkins State Park Civil War Encampment 175th Anniversary of Fort Wilkins (Copper Harbor, Michigan) 8:00 AM - 4:00 PM. Host: 1st Michigan Lt. Arty, Batt. D. The roar of the cannon will once again rebound across Lake Fanny Hooe during a Civil War encampment at Fort Wilkins Historic State Park. Battery D, 1st Michigan Light Artillery, a Civil War-era living history group, will pitch camp at the fort for the weekend to recreate the volunteer artillery unit organized at White Pigeon in 1861. The group will interpret army life during the Civil War period, demonstrating artillery drills, cooking techniques and soldiers’ pastimes. Website: http://batteryd.com. Telephone: 906-289-4215. 27 - 28. Civil War Days in Three Oaks . (Dewey Cannon Park, Three Oaks, Michigan). Small town in Southwest Berrien County. Park is near great restaurants and bars. Seeking Union and Confederate troops, Medical, Civilian, and Sutlers. Infantry and artillery for battle reenactments. Firewood provided. Saturday dinner and Sunday breakfast provided. Pre-registration necessary by July 1st Registration: civilwardaysthreeoaks.jimdo. com or email cwinthreeoaks@yahoo.com. 27 - 28. Civil War Living History Encampment (Yale City Park, 200 Park Ave., Yale Michigan). Yale is hosting a Civil War event in order to emphasize the history of the town. Twenty-three Civil War veterans are buried in the local cemetery. The park on Mill Creek will be a lovely setting. Tap water, flush toilets, etc. are available. Military and Civilian Camps, Demonstrations by the military. Period Clothing and Living History, and Displays of Local Civil War Veterans History. Some money is available for cannon bounty. The event is presented by the 15th Michigan Volunteer Infantry. Contact Darlene Lum via email at lumdarlene@yahoo.com or Face Book at https://www.facebook.com/darlene.lum.5?fref=gs&dti=243135612378612&hc_location=group_dialog. 3 - 4. 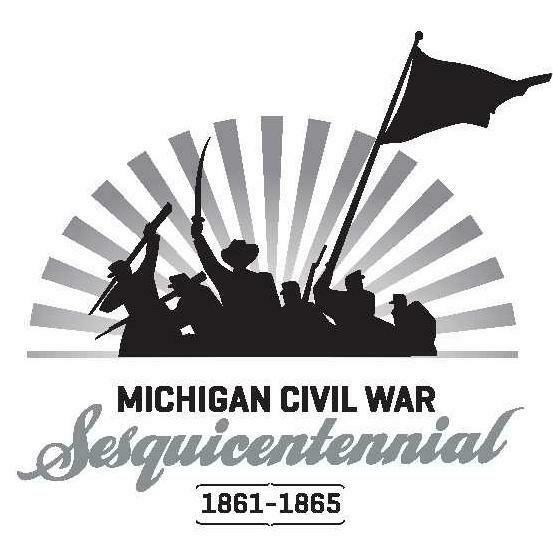 Civil War Days 2019 (228 South Ridge Street, Sanilac County Village and Museum, Port Sanilac, Michigan). Civil War Days will take place on the grounds of Sanilac County Historic Village and Museum amidst vintage buildings to give an authentic look. The event also will include Union and Confederate Encampments, Skirmishes, Artillery, and Notable Persons. Firewood, straw, running water, ice, and flush toilets provided. Website and Registration: http://sanilaccountymuseum.org. Contact Email: sanilacmuseum@gmail.com or by Telephone at 810-622-9946. 7 & 14. Michigan's Grand Army of the Republic Memorial Hall and Museum (224 S. Main Street, Eaton Rapids, Michigan). 10:00 AM - 5:00 PM. The Museum is opened the first two Wednesdays each month, most patriotic days, special events, and by appointment. Admission to the Museum is free. Website: http://garmuseum.weebly.com/. Contact: Gary Gibson, Board Secretary, at GARmichigan@gmail.com. 10. Annual Sunfield Farmers' Picnic and Parade (M-43, Sunfield, Michigan). All Day. In addition various local activities, the Sunfield Grand Army of the Republic Hall will be opened for tours. Website: http://suvcw.org/mi/017/announcements.htm. Contact: Paul David Arnold at arnoldsuvcwmi@sbcglobal.net. 10 - 11. Hale Farm & Village Civil War Reenactment (Hale Farm & Village, 2686 Oak Hill Road, Bath, Ohio). More than 500 reenactors are expected to participate, making this one of the largest annual Civil War events in Ohio. Guests will meet soldiers and civilians, hear the sounds of battle, smell the gunpowder, and dance at the annual Hale Civil War Ball. At 2:00 pm daily, the recreation of Civil War battles in the museum _ s North Pasture is just one feature of the event. Cannons, on loan from the Ohio Statehouse, will roar across the re-created battlefield amidst the soldiers, smoke, and gunfire. Cavalry will charge as the battle unfolds just yards away. Take part in this historic event as we celebrate the sesquicentennial of the Civil War. Website and Registration: http://www.wrhs.org/plan-your-visit/hale-farm/. Contact: halereservations@wrhs.org or by telephone at 330-666-3711. 13. Civil War Discovery Camp (Michigan's Grand Army of the Republic Memorial Hall and Museum, 224 S. Main Street, Eaton Rapids, Michigan). 9:00 AM - 3:00 PM. The camp is open to children between 7 and 14 years of age. The students will be arrive at G.A.R. Island Park in Eaton Rapids at 10:00 AM, where they will have several hours of activities planned, including learning of the manual of arms with wooden Civil War muskets, how to march, how the Civil War soldier lived, and much more. The students will be told about the park and its association with the G.A.R. and the Civil War Veterans. They then will be split into groups and provided information about the life of a Civil War soldier and each allowed to fire a reproduction Civil War musket (with prior parental/guardian approved). Around 2:00 PM, the students will be marched to the G.A.R. Museum for a tour and to learn about what the G.A.R. Civil War veterans and their auxiliary, the Woman’s Relief Corps, did following the war. Lunch will be provided. Cost: $20 per student. Volunteer Reenactors and uniformed members of the Sons of Union Veterans of the Civil War would be appreciated to assist with the students. Website: http://garmuseum.weebly.com/. Contact: Keith Harrison at GARmichigan@gmail.com. 17 - 18. Mid-Michigan Civil War Muster (19307 Grass Lake Road, Big Rapids), Michigan) 14th annual event hosted by the Tenth Michigan Infantry. Battle reenactments/Skirmish both days plus Living History Camps and Civilian Events, Company Drills and Demonstrations, Speed Shooting Contest, Period Musical Show, Sunday Church Service, and much more. Artillery bounty for the first four (4) pre-registered cannons. The Muster will feature events from the 1864 Atlanta Georgia Campaign and is held on private property about two miles northeast of town adjacent to the Independent Order of Odd Fellows Hall. Set up on Friday August 16 with full days on both Saturday and Sunday. Normal amenities of water, straw, and firewood. Contact and Registration: tenthmich@yahoo.com or call 989-400-3904. 23 - 25. 35th Annual Jackson, Michigan Civil War Muster (Note New Location: Ella Sharp Park, 2800 4th Street, Jackson, Michigan). Normal amenities, Cavalry Bounty, Artillery Bounty, Battles on very large field Saturday and Sunday, Military Ball Saturday night, Night Artillery Firing. Jacksonburg and Special Impression Area, History Lane and Sutlers. The Peacock will be there. Event is free to the public, but donations appreciated. Website: http://civilwarmuster.org/. Contact: Kim Conant at kimc62@gmail.com or by Telephone at 517-262-6391. 4 & 11. Michigan's Grand Army of the Republic Memorial Hall and Museum (224 S. Main Street, Eaton Rapids, Michigan). 10:00 AM - 5:00 PM. The Museum is opened the first two Wednesdays each month, most patriotic days, special events, and by appointment. Admission to the Museum is free; donations are appreciated. Website: http://garmuseum.weebly.com/. Contact: Gary Gibson, Board Secretary, at GARmichigan@gmail.com. 7 - 8. Yankees in Falmouth and Some Confederates too (Historic Port of Falmouth Park and Moncure Conway House, 401 River Road, Falmouth, Virginia). 9:00 AM - 5:00 PM each day. The first Union soldiers entered Stafford County's town of Falmouth on April 18, 1862, as the Confederates burned the bridges over the Rappahannock River to the City of Fredericksburg. Return to the historic port of Falmouth for the annual arrival of Yankees in Falmouth (and Confederates too!). Learn the story of what the soldiers encountered when they marched into this very town nearly 150 years ago. Activities include an encampment, firing demonstrations, story telling, Civil War artifact displays, and the reading of actual soldiers' letters from Falmouth. Self-guided walking tours are available of the historic sites in Falmouth (some private residences not open to the public), including the historic Moncure Conway House--open for this special two-day. Normal amenities including wood, water, straw, etc. Several Michigan Regiments were encamped at Falmouth, Virginia. This small living history is well worth the trip to Virginia. While there, a must visit is to the White Oak Museum, one of the most phenomenal Civil War museums in the country. Contact: Norman Schools at Small47@aol.com. 21 - 22. 11th Annual Van Raalte Farm Civil War Muster (Historic Van Raalte Farm Park, 1076 E. 16th Street, Holland, Michigan). Free Dinner Saturday Night. Battle both days and a tactical. Bounties are offered for cavalry and artillery. The Peacock will be there. Registration website: http://vanraaltefarmcivilwarmuster.com/. Face Book: Facebook/hollandcivilwarmuster. Contact: VanRaalteMuster@gmail.com. 22. Civil War Seminar and Anniversary Celebration 6th Year Anniversary of Michigan's Grand Army of the Republic Memorial Hall and Museum (224 S. Main Street, Eaton Rapids, Michigan). 3:00 PM. Everyone is cordially invited to join to celebrate in retrospect years of operation of Michigan's G.A.R. Memorial Hall and Museum. Many changes have been made in the museum and the collection has grown, as has our loyal sponsors and the public's interest in what we have to offer. Many volunteers who have made the success of the museum a reality will be acknowledged during the afternoon. In addition to this, the Museum will have a free Civil War seminar to round out the afternoon's activities. Light refreshments will be served. Website: http://garmuseum.com/. Contact: Gary Gibson at GARmichigan@gmail.com. 27 - 29. Angola Civil War Days (Commons Park, Angola, Indiana). This is a time line event with emphasis on Civil War. Battle Saturday (2:00 PM) and Sunday (2:30 PM). Artillery and Cavalry bounties. Sponsored by Angola Parks and Recreation Angola American Legion Post 31. Hosted by Carpenters Battery. Website: http://www.angolacivilwardays.com. Contact: Tom Frederick at 260-316-4676. 27 - 29. River of Time Living History Encampment (South end of Veterans Park, 800 John Kennedy Drive, Bay City, Michigan). Civil War with Union and Confederate Military and Civilian Camps. Also Native American, Colonial, French and Indian War, Revolutionary War, World Wars I & II, and Vietnam Time Periods. Korn and Old-Time Root Beer, Witness Civil War Sea Battle, Skirmishes and Demonstrations, Shop Sutlers’ Row, Period Music, Dance and Games, and Craft Projects for children. School Presentations One Day Only: Friday September 21, 8:00 AM - 3:00 PM. Camps open Saturday 9:00 AM to 10:00 PM and on Sunday 9:00 AM - 4:00 PM. Sponsored by the Bay County Historical Society and the River of Time Committee. Website: http://www.riveroftime.org. 28 - 29.Living History: Guns n' Gowns (Greenmead Historic Village, 20501 Newburgh Rd, Livonia, Michigan). Military Camp Life, Drills, Demonstrations and Equipment, Field Surgery and Medical Practices of the day, Civilian Life, Courting and Mourning Practices, Fashions, Phrenology, Letter Reading and much more. Saturday Camp-wide potluck with main dish/drinks/paper products provided – Please bring a dish to pass. Presented by 17th Michigan, Company E. Co-sponsored by the Livonia Historical Commission. Registration Website: http://17micoe.org/guns-n-gowns-reenactors. Contact: Stephanie Miner at sminer2015@gmail.com or by Telephone at 734-218-6607. 2 & 9.Michigan's Grand Army of the Republic Memorial Hall and Museum (224 S. Main Street, Eaton Rapids, Michigan). 10:00 AM - 5:00 PM. The Museum is opened the first two Wednesdays each month, most patriotic days, special events, and by appointment. Admission to the Museum is free; donations are appreciated. Website: http://garmuseum.weebly.com/. Contact: Gary Gibson, Board Secretary, at GARmichigan@gmail.com. 4 - 6. 6th Annual Mooresville Civil War Days (19631 CR687, South Haven, Michigan). Moorseville is a fictitious pioneer settlement that offers a covered bridge, gristmill, chapel, and horse drawn wagons. Both Union and Confederate units are invited to attend this event. Free dinner Saturday night. Battle on both Saturday and Sunday, a tactical on both days, musket demonstration and cannon demonstration. Camp set up on Friday. (Friday is education day for school kids. Volunteers demonstrating musket fire and soldier and camp life) Firewood will be provided. $5.00 per person donation, Veterans are free. The event is sponsored by the 7th Arkansas and Sons of Confederate Veterans Patrick Cleburne Camp. Contact: Bob Fragala at bfragala@hrwood.com or by telephone at 269-637-9405. 12. Annual Harvest Ball (Central United Methodist Church, 215 N. Capitol Avenue, Lansing, Michigan). 6:00 PM. 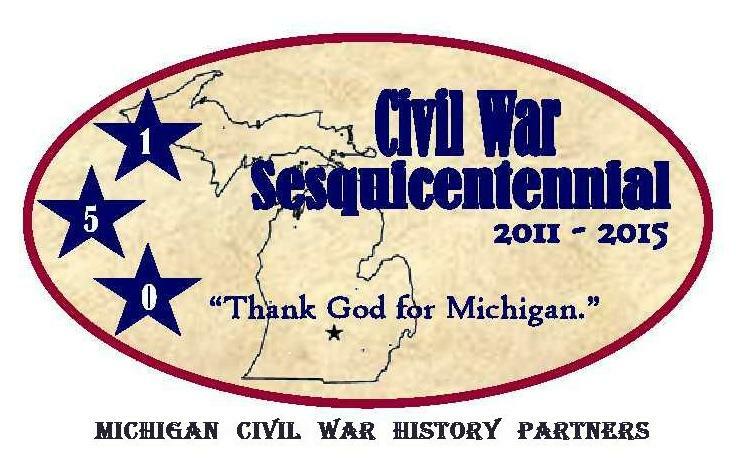 Hosted by the 7th Michigan Volunteer Infantry, Company B, Inc. Doors open at 6 PM, Grand March begins at 7 PM, Attendees must be over 12 years of age. Ticket cost $25 per person, $40 per couple, Youngsters 12-16 years of age $10 each. Advance tickets will be available August 1st. Tickets are limited. Attire is 1860s period formal or modest, modern formal evening wear. For more information, contact Gilbert or Cyndi Carlson, telephone: 517-782-8199, Email: Cyndiinhisservice@yahoo.com. 18 - 20. Hartford City Civil War Days (Hartford City, Indiana). Plenty of military and civilian campsites available. Straw is provided, one-half bale per person. Hay will be provided for mounted cavalry. Firewood also provided and located near all camps. Free Saturday evening meal served to all reenactors. Other activities: Ladies tea, fashion show (competition), baking contest, battle, skirmishing, and on-going entertainment. Saturday night will feature night time artillery firing, mini-concert, Lincoln address, and Military Ball. Sunday: church service, tactical, skirmishing, pay call, and battle. Hosts: 19th Virginia Infantry, Company C and 49th Indiana Volunteer Infantry, Company F. Website: https://www.hartfordcitycwdays.com/. 29. Civil War Seminar: To be announced (Sunfield United Brethren Church, 8436 West Grand Ledge Hwy (M-43) in Sunfield, Michigan). 7:00 PM. Admission is free and refreshments will be served. Each year, the Lansing/Sunfield, Camp #17, Sons of Union Veterans of the Civil War sponsor a series of free Civil War History Seminars. Website: http://suvcw.org/mi/017/announcements.htm Contact: Mark Hoffman at hoffman816@yahoo.com. 1 - 3. Reenactment: Battle of Mill Springs (Nancy, Kentucky) Held on the Historic Mill Springs battlefield. This is the last chance to hold a Civil War reenactment on the actual battlefield. Daily Battles, Civil War Encampments, Sutler area, 1860s food, Evening Ball Saturday night, Civil War music, and crafts and lots more to see. Federal Commander: Rob Van of the Cumberland guard. Confederate Commander: Brian Mercle of the Tennessee Valley Battalion. Website: http://www.millspring2019.com. Contact: 770-296-1870. 3. Annual Veterans Day Massing of the Colors (Michigan Historical Center, 702 West Kalamazoo, Lansing, Michigan) 2:00 PM - 4:30 PM. Color guards are wanted and welcomed. Sponsors and hosts are the Friends of Michigan History, Inc. and Michigan Historical Center. Contact Keith Harrison at pcinc@prodigy.net or by Telephone at 517-694-9394. 6 & 13. Michigan's Grand Army of the Republic Memorial Hall and Museum (224 S. Main Street, Eaton Rapids, Michigan). 10:00 AM - 5:00 PM. The Museum is opened the first two Wednesdays each month, most patriotic days, special events, and by appointment. Admission to the Museum is free; donations are appreciated. Website: http://garmuseum.com/. Contact: Gary Gibson, Board Secretary, at GARmichigan@gmail.com. 11. Exhibit: Veterans Day (Michigan's Grand Army of the Republic Memorial Hall and Museum, 224 S. Main Street, Eaton Rapids, Michigan). 10:00 AM - 5:00 PM. In commemoration of Veterans’ Day, Michigan's G.A.R. Memorial Hall and Museum will be open to share with the public the life and times of the Civil War veterans. Admission to the Museum is free; donations are appreciated. Website: http://garmuseum.weebly.com/. Contact: Gary Gibson, Board Secretary, at GARmichigan@gmail.com. 12 Tentative. Annual Detroit Veterans' Day Parade (Detroit Michigan). Staging 8:00 AM, Parade 10:00 AM. Contact Rick Danes at mimessrd@aol.com. 19. Civil War Seminar: To be Announced (Michigan's GAR Memorial Hall and Museum, 224 S. Main Street, Eaton Rapids, Michigan). 7:00 PM. Seminar is free. Website: http://garmuseum.weebly.com. Contact: Gary Gibson, Board Secretary, at GARmichigan@gmail.com. 4 & 11.Michigan's Grand Army of the Republic Memorial Hall and Museum (224 S. Main Street, Eaton Rapids, Michigan). 10:00 AM - 5:00 PM. The Museum is opened the first two Wednesdays each month, most patriotic days, special events, and by appointment. Admission to the Museum is free; donations are appreciated. Website: http://garmuseum.weebly.com/. Contact: Gary Gibson, Board Secretary, at GARmichigan@gmail.com. 7. Eaton Rapids Christmas Parade Michigan's Grand Army of the Republic Memorial Hall and Museum (224 S. Main Street, Eaton Rapids, Michigan). Noon - 8:00 PM. Come to Eaton Rapids to discover your Civil War ancestors and, later, to see the city's annual Christmas Parade. Many stores will be opened with various deals for you to peruse. The parade starts at 6 PM. Michigan's G.A.R. Memorial Hall and Museum will be open with hot chocolate and coffee to help you stay warm. Website: http://garmuseum.weebly.com/. Contact: Gary Gibson at GARmichigan@gmail.com.